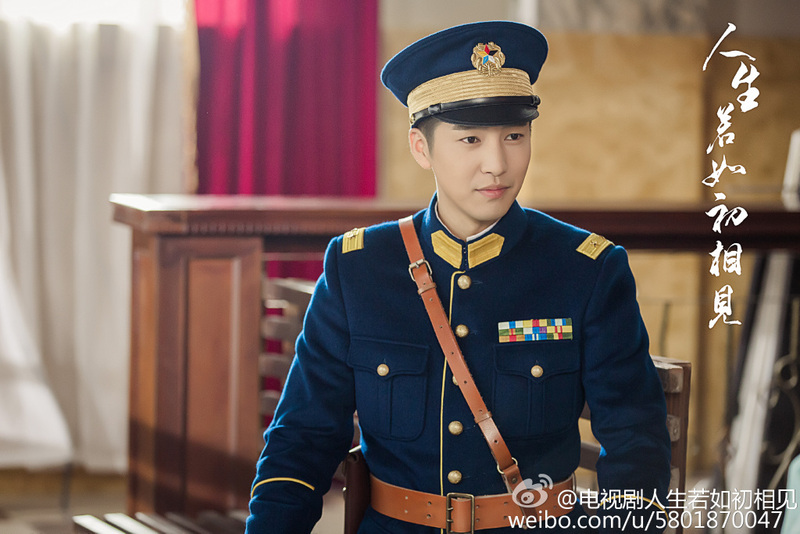 Having been shelved for two years, Siege in Fog 人生若如初相见 finally sees daylight and began airing on March 2nd. I decided to give it a try since I do like the majority of the cast (especially Elvis Han!). 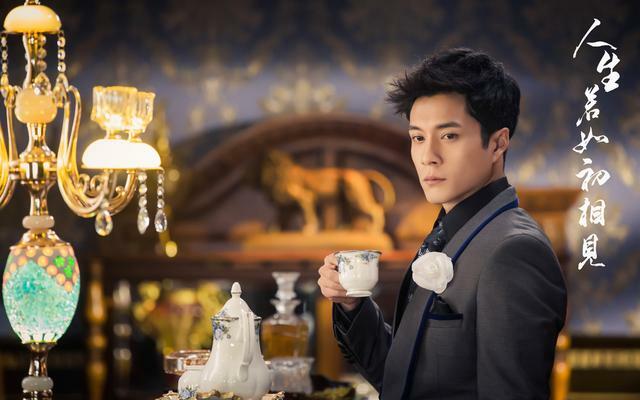 Many are confused by how the plot is executed since it starts approximately two years after the main leads Yi Lian Kai (Elvis Han) and Qin Sang (Sun Yi) have wedded. I've watched up to Episode 8 but I took a sneak peek at the newly released batch of episodes and saw that a flashback begins in Episode 12 so I can't wait for that. Synopsis: During the warring states period of the Republican era, it seemed like the water is calm within the powerful Yi family. In actuality, the brothers are plotting against each other to reap power. When he first saw student Qin Sang, it was love at first sight for Yi family's third young master Yi Lian Kai. He did whatever he can to have her and eventually she was forced to marry into the Yi family. Things become even more complicated when her ex-flame reappears under a new identity. 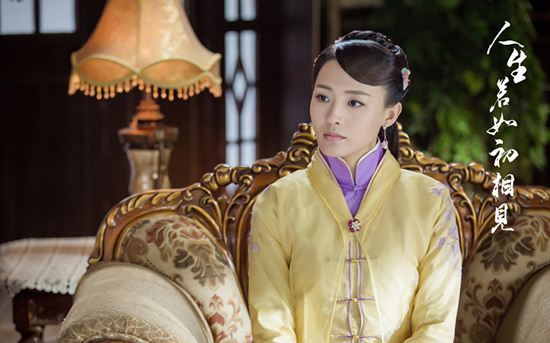 As Yi Lian Kai and Qin Sang maneuver through the turbulence and feuds within the family, they gradually learn to support and love one another. First Impressions: It's very interesting to watch how clever Yi Lian Kai is even though he is flirtatious and playful on the surface. 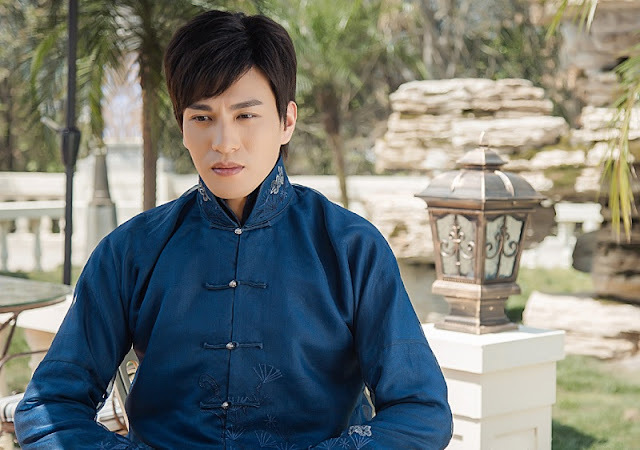 The first two episodes focus on how Yi Lian Kai fends off Murong Feng's attack and revolves around the assassination of Yi Lian Kai's teacher, Mr. Fan. Then it begins bringing all the members of the Yi family together as they prepare for Mr. Fan's funeral. We learn more about the family such as the second sister-in-law harboring feelings for Yi Lian Kai and misunderstandings between Yi Lian Kai's mother and father. 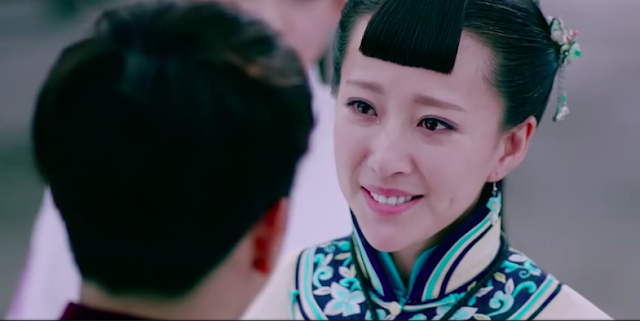 The entire story becomes even more complicated with different leading figures thrown into the mix such as Tian Meng Hui, a group that seeks to reform the society by eliminating martial rule, General Li Chong Nian, and the Murong family. To sum it up, a majority of the drama is about power struggle during this chaotic warring period and who will be the last one standing in the end. Besides the war politics, the relationship between the two main leads is another story to watch. Yi Lian Kai and Qin Sang are couples in name only and I love watching their interactions --- I find their chemistry sizzling every time they come onto the screen. Even though their marriage wasn't founded on love, they mutually respect one another and it seems like they are partners working together, helping each other out of their respective dilemmas. I also enjoyed how in episode 6 during the scene where Qin Sang and Yi Lian Kai traveled with their sister-in-law to retrieve the body of Mr. Fan, Qin Sang wasn't afraid to stand up against General Murong (sister-in-law's father). When the General shot one of the fighters, most heroines would reason with the General to spare that person's life. But Qin Sang is smart and knows when she should speak and when she should act. She is not perfect but she will not piss viewers off like many of our mainstream heroines. Speculating that it is Qin Sang? Something I noticed in episode 6 --- you can obviously tell the fighting scenes were filmed by a stuntman if you look at the hairstyle. The three brothers are different in personality. The oldest brother, Yi Lian Yi is crippled from falling from a horse but I believe he is the wisest. He sees through everything and everyone and I believe he will play a more predominant role later in the series. The second brother, Yi Lian Shen seems to be the one most likely to inherit their father's title as general. He already holds power to an army but he is rather rash and direct. He can easily offend others, as evident in the scene where he verbally attacked the oldest brother. Last of all, the third brother, Yi Lian Kai is trying his best to seemingly stay out of the family's feud as he gives everything up to his second brother. When someone attempts to drift the brothers apart, he knew someone was doing exactly that and didn't fall for it. I heard the novel has an open ending so I might wait until all the episodes are out before I continue to watch it to see which ending the drama is going to follow. I heard there were disputes between the production company and the author so perhaps, the ending might be changed. 1. Looking for comedy. My mother went from Episode 1 to Episode 8, saying this drama is boring. It may seem boring to some if you don't like this particular genre. 2. Not looking to watch another power struggle drama and this time between the male characters. You can check out my blog for other reviews and thoughts. Most recently, my blog has been translating a popular Chinese novel. I love your analysis! And agree with every word. I really love how their chemistry sizzles. I am not one for angst, but I liked how these two interact. This hits the right spots because they aren't really fighting due to misunderstandings - they hit each other with the truth and that's why it is so satisfying. Yi Lian Kai described both of them as knives who clash and emit sparks/passion, and if one of them is softer than the other, he/she will definitely get hurt. And I completely agree with how you mentioned that Qin Sang isn't your typical female lead. Some of them would be 'brave' yet foolish, speak up without care for consequences and take the male lead's abuse. She spoke up when needed, but withdrew and bent when the time was right. 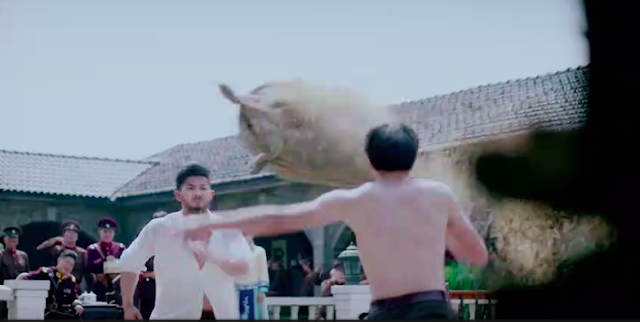 She also defends herself successfully against the male lead and doesn't take it lying down. At the same time, she doesn't go looking for fights. I actually really like the 'time jump' because it allowed us to see them as they are now - skillfully navigating politics while maintaining a respectful relationship. We did not have to go through the pain of watching them wear each other down and getting where they are now. Murong Feng's reaction to Qin Sang. You noticed that too, huh? I was wondering whether I was overthinking it. Also, can I say how much I love that the main characters are smart? This is the first time a drama actually has 2 smart main leads who have yet to act foolishly and needlessly frustrate viewers? 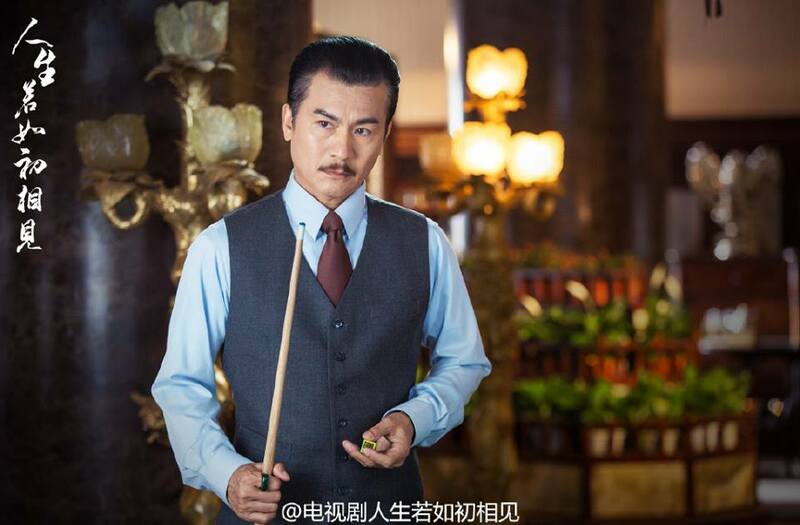 Kudos to Elvis Han and Sunyi for their amazing acting skills as well. Sunyi is fast becoming one of my favourite actress. 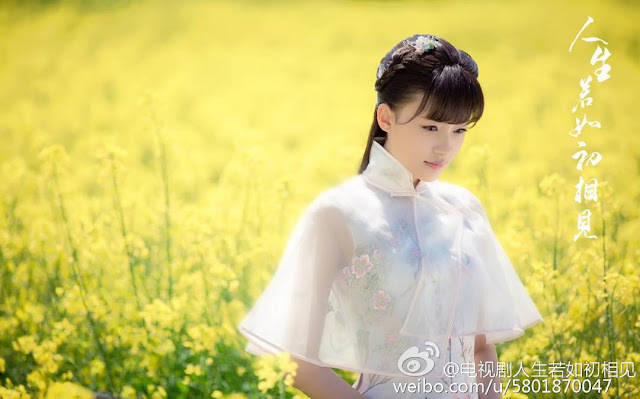 I love Sunyi in every show she acted in - 15 years waiting for migratory birds, Because of Meeting You and now this. Looking forward to more!! 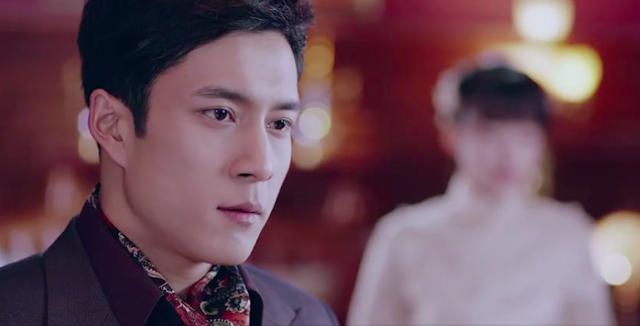 In the novel Lv Jia Rong was Yi Lian Kai's mistress, but he does not love her so they never were soulmates! She is considered his 红颜知己 in the drama so probably "female confidant" might be a better translation. I'm not sure if she's considered his mistress in the drama since it's not explicitly mentioned. why there is no english subs for this drama ?? Thanks for the review. The character introductions are very helpful.